Once again, as it has done in the past, Google makes the classic monopolist defense for its competitive—or anticompetitive, depending on perspective—behavior with respect to Android. Yesterday, the European Union’s Competition Commission formerly charged Alphabet and its major subsidiary, which has 12 weeks to provide satisfactory legal response before the Commission issues corrective sanctions. Simply stated, the EC finds that the company abused its dominant position, in part by contracts compelling Android licensees to preload Google apps and related services, including search. Microsoft ran into similar bundling headaches starting in the late 1990s with respect to Windows. Responding, Kent Walker, Google general counsel, claims that licensees and consumers can choose to install third-party apps. Microsoft made like-claims during its antitrust defense here and in Europe; they fell flat. “We also believe that our business model keeps manufacturers’ costs low and their flexibility high, while giving consumers unprecedented control of their mobile devices”, Walker says. “Our partner agreements have helped foster a remarkable—and, importantly, sustainable—ecosystem, based on open-source software and open innovation”. Google’s wiggle room, if any, is exclusivity. Microsoft commanded 90 percent global market share for Intel-based PCs when the Justice Department and 20 states filed their case in May 1998. The company compelled many OEMs and other partners to preinstall Internet Explorer. Walker argues that Google’s contracts aren’t exclusive, and from nearly 20 years experience covering Microsoft’s legal woes, I know this: Exclusive agreements, from position of overwhelming dominance is viewed by antitrust agencies as forestalling competition, and therefore choice—thus causing consumer harm. Non-exclusive agreements can be anticompetitive, too, if implicit threats or other pressures are applied. Whether or not you agree with the Competition Commission, or that Google is a dangerous monopoly, Android’s European dominance of smartphone operating systems is indisputable. Smartphone sales share, as of February 2016, according to Kantar Worldpanel, was: 71.8 percent in France, up from 69.7 percent in July 2015; 76.7 percent in Germany, up from 73.7 percent during the same time period; 55.5 percent in Great Britain, up from 54.4 percent; 78.4 percent in Italy, up from 72.5 percent; and 90 percent in Spain, up from 89.4 percent. By contrast, the United States: 58.9 percent, down from 65.6 percent. iPhone sales balance against the Google giant here. There’s a little irony here. Same as the charges came, Google celebrated Chrome version 50 with a nifty graphic chalk full of statistics. The first: “1 billion users on mobile each month”. The majority presumably use Android, on which Chrome is bundled. To repeat: That’s the crux of the European Commission’s antitrust allegations—that forced bundling of Google apps and services stifles competition, which causes consumer harm. But that still simplifies things, because Google commands not one but two monopolies. The other is search, which share is about 90 percent across Europe, according to the Competition Commission and combined analyst reports. Search-driven contextual advertising delivers almost all Alphabet’s revenue. Late this afternoon, the company revealed first quarter 2016 results, where advertising accounted for 89 percent of Alphabet revenues. Outside subsidiary Google, other divisions lost more than $800 million. Search is as much, if not more, the centerpiece of the EC’s charges against Google. 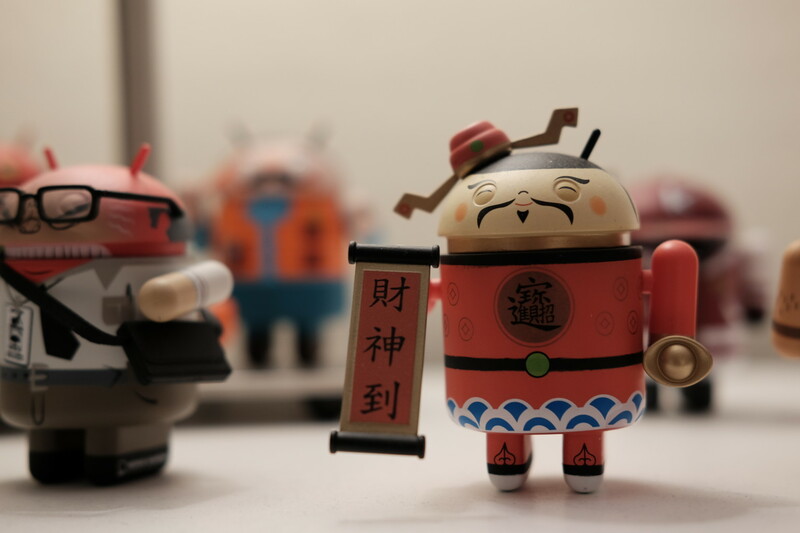 The Commission views Android as a means of preserving and extending the company’s search dominance. Microsoft faced similar allegations, for using Windows to gain share in the nascent browser market and, thus, across the Internet landscape. During the late stage’s of Microsoft’s U.S. trial, prosecutors targeted the twin Office and Windows monopolies as creating an “applications barrier to entry”. The European Union makes similar charges about Android and search, also including apps. “Our preliminary view is that Google has abused its dominant positions in these three markets”, Margarethe Vestager, Competition Commissioner, says. “Its strategy to protect and strengthen its dominance in general Internet search has two main elements: First, the practices mean that Google Search is pre-installed and set as the default, or exclusive, search service on most Android devices sold in Europe. Second, the practices close off ways for rival search engines to access the market, via competing mobile browsers and operating systems”. Let’s step and look at the charges from another perspective, with respect to openness and exclusivity. Android really is two operating system. There is the open-source version that anyone can adapt, and there is the other that Google directly licenses to which strings are attached. No reasonable referee would allow cheating during the Stanley Cup game, which is a fair analogy for the EC’s charges. That brings us back to core questions of exclusivity, whether contractually defined or implicitly imposed. Microsoft ran afoul of European and U.S. trustbusters for compelling its partners to take Internet Explorer as a condition of licensing Windows. If they wanted the one thing, they had to take the other. The Competition Commission charges similar misbehavior: “Google obliges manufacturers who wish to preinstall Google’s Play Store on their devices to also preinstall Google Search, and set it as the default search provider on those devices”, Vestager says. “In addition, manufacturers who wish to preinstall Google’s Play Store or Search, also have to preinstall Google’s Chrome browser. In short, these smartphone and tablet manufacturers are not free to choose which search engines and which browsers to install on their devices. We believe that this hampers competing search and browser providers in effectively competing with Google”. That kind of behavior fits the classic “abuse of dominance” accusation, BTW. Google benefits by ensuring that Search, the main revenue provider, doesn’t lose relevance with the PC but moves on with favorable standing on the next computing era’s primary platform: The smartphone. Vestager also calls out something more sinister, and again familiar, when looking back at Microsoft’s monopoly misdeeds. “Google prevents manufacturers who wish to preinstall Google apps on even one of their devices from using modified, competing versions of Android on any of their other devices” she claims. “We have found evidence that due to Google’s behavior, some manufacturers have decided not to use an alternative version of Android that had been developed by a credible competitor”. That’s a stunning, unambiguous accusation: Google’s behavior crushes competition to preserve monopoly presence (and revenues). “We have concerns that this hampers the development of rival versions of Android, which could develop into credible platforms for competing apps and services”, Vestager says. That statement is eerily familiar, similar to Microsoft bundling Internet Explorer to prevent Netscape, or others, from developing Windows rivals around a web browser. Microsoft also got slapped around for engaging exclusive agreements or marketing incentives, which I referred to in my reporting as “Bounties”, for carrying its software and excluding rivals’. The European Commission makes similar charge. “Google provides financial incentives to manufacturers and mobile network operators on condition that Google Search is preinstalled as the exclusive search provider on their devices”, Vestager asserts. “We have found evidence that as a result, device manufacturers and mobile network operators have refrained from pre-installing alternative search services”. Circling back to Walker’s defense of Google, semantics can mislead. “Our partner agreements are entirely voluntary—anyone can use Android without Google”. He means like Amazon. Restrictions, and that means taking what Google insists, still apply to the other Android. Walker’s defense of Google Play bundling is familiar. The carry clause ensures that Android apps work “from one Android device to the next”, Walker says. Microsoft similarly used compatibility to justify Windows licensing restrictions. “Any manufacturer can then choose to load the suite of Google apps to their device and freely add other apps as well, Walkers. The “then” refers to after choosing the less-open Android. “For example, phones today come loaded with scores of pre-installed apps (from Microsoft, Facebook, Amazon, Google, mobile carriers, and more)”. Microsoft made similar defense about Windows software bundling, boasting about the number of applications that could be separately downloaded and calling it choice. Google’s official response will be interesting reading, and if Microsoft’s European legal problems foreshadow anything, the defense will be a tough sell. In the United States, following the antitrust case’s partial reversal on appeal, the Justice Department dropped one of the most serious charges: That Microsoft bundled IE with Windows to leverage dominance from one market into another—the goal being to preserve the existing monopolies. Worst-case for Google: Removing its search from Android, or any compulsion for partners to take the service. “Our users are accessing the Internet via multiple devices”, Alphabet explains in its 2015 10-K. “In this multi-device world, we generate our advertising revenues increasingly from mobile phones and newer advertising formats, and the margins from the advertising revenues from these sources have generally been lower than those from desktop computers and tablets”. For the year, “our Google websites revenue growth was primarily driven by increases in mobile search”, according to the 10-K. Sanctions scrubbing search from Android risk revenue growth. Wrapping up, something worth thinking about: No legitimate study shows that unbundling Internet Explorer or Windows Media Player improved applications competition or consumer choice. In 2004, trustbusters viewed Windows as a dangerous monopoly. But just three years later, Apple launched iPhone, which set the smartphone market on fire and through organic competition diminished Microsoft’s dominance.